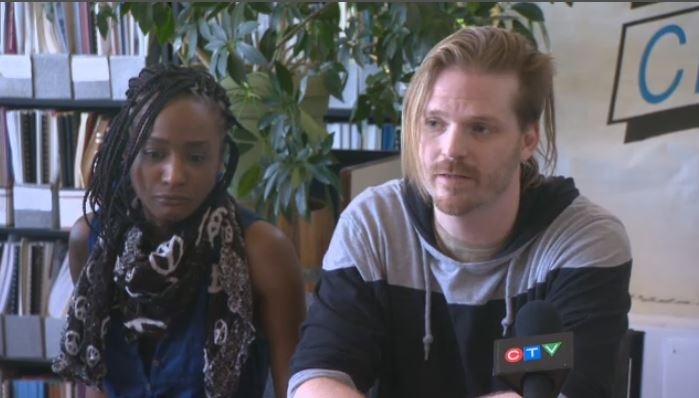 Biracial couple allege mistreatment by SPVM officers for "walking while black"
A biracial couple from Montreal is speaking out after they say police “violently” arrested them and claimed they were talking too loudly on the street during the day. In a press conference Saturday, Brian Mann described their interaction with police – one that left he and his girlfriend scarred. Mann’s girlfriend – going by the pseudonym Dana – started walking back towards her apartment. The couple alleges police used excessive force, and refused to give a reason as to why they were being arrested. As the police dealt with Dana, Brian said he waited against a wall, until police turned their attention to him. “They were just running full speed at me. And they tackled me,” he explained. They each received fines to the tune of $444 for being too loud. But Mann said he sustained physical injuries as well. 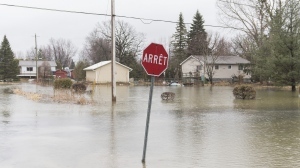 The pair sought the help of the Centre for Research-Action on Race Relations and will each file two complaints: one with the Quebec Human Rights Commission and another with the Police Ethics Commissioner. When contacted for comment, Montreal police told CTV Montreal there was no one available to comment. “It’s just unjust that we have to double think about things like talking in our neighbourhood at 10:30 in the morning, just because of the colour of our skin,” Dana, who is black, told reporters Saturday. She believes that if she was white, the incident would never have happened. She recalled being fearful that the situation with police would escalate if she acted out of turn. “I know that if I did anything that was out of place, I could become another black statistic,” she said.